Women’s soccer is growing in popularity. 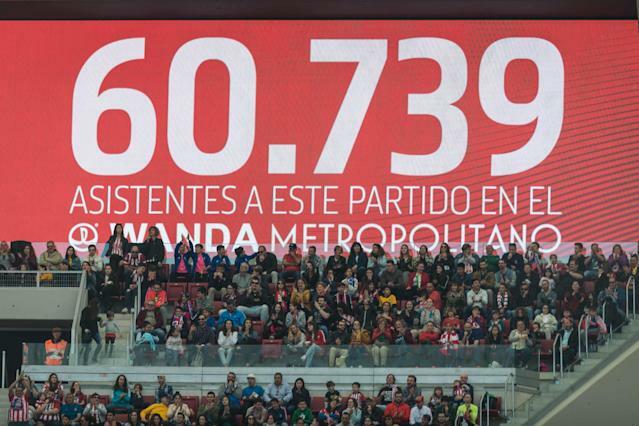 Don’t take our word for it; take the word of 60,739 fans at the Wanda Metropolitano. 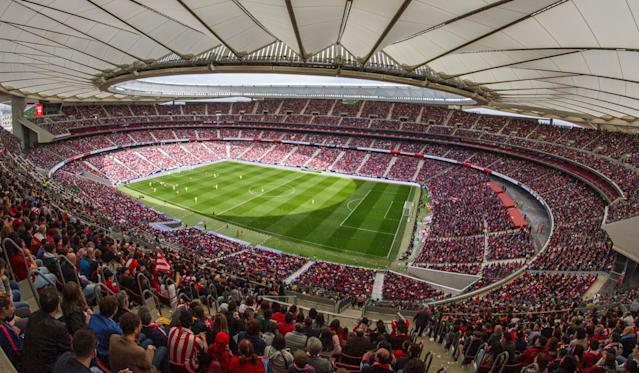 That’s the attendance figure that packed Madrid’s two-year-old soccer shrine to watch Atlético Madrid Femenino take on FC Barcelona Femení in a table-topping clash Sunday. Per the Spanish women’s league, the crowd set a record for women’s club soccer worldwide. The stadium was near capacity, as the Wanda Metropolitano seats 68,000. And the match, which Barcelona won 2-0, was a sight to behold. The all-time record for attendance at a women’s match still belongs to the 1999 World Cup final, when 90,185 fans watched the United States beat China on penalties during an iconic afternoon at the Rose Bowl. Still, Sunday’s mark is reason to celebrate. Women’s soccer at the international level has witnessed rapid growth over the past decade – the 2015 World Cup final is still the most-watched soccer match in United States history, while a foundational argument of the women’s national team’s current lawsuit against U.S. Soccer is they bring in more revenue than the men – and that popularity is extending to the club game. The National Women’s Soccer League is the top level for the sport in the U.S., having taken the baton from the Women’s United Soccer Association (2001-2003) and Women’s Professional Soccer (2007-2012). The season before last, it averaged nearly 100,000 viewers per match on the Lifetime network. In Spain, the Primera División has been around in one format or another for over three decades, and Atleti has won the past two league titles. 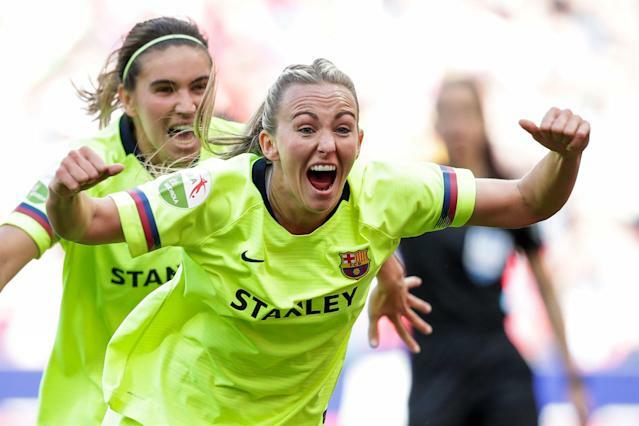 They sit atop the table at present, too, although second-place Barcelona climbed within three points thanks to Sunday’s win, with the goals coming from Nigerian international Asisat Oshoala in the 65th minute and English international Toni Duggan in the 80th. Only six matches remain, with the champion set to be formally crowned on May 11. Should be an exciting finish. As Sunday’s attendance record indicated, plenty of people will be watching.